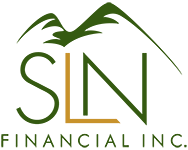 Financial Planning Tips to End the Year | SLN Financial, Inc.
Now’s the time to observe your entire financial situation. The new year is upon us, so it’s only smart to start looking towards next year so you aren’t caught off-guard. Follow this quick tips and be on your way to a current financial assessment. Check your 2018 plan. Did you accomplish everything you wanted to do financially this year? If not, be sure to include your unfinished goals to your 2019 plan. Go over your current cash flow. What expenses do you have each month? Where are you spending your money? Try to find places in your budget that you can do away with to save more (we’re talking to you, $5 lattes). Review your home and auto insurance. Are you spending more on your policies than you need to be? If you haven’t reviewed your home or auto insurance lately, now’s a perfect time to see if your coverage makes sense for your current needs. Consider new life events coming in 2019. Planning on moving? What about retiring? Whatever life events that may be coming in 2019, be sure to anticipate your future financial needs and plan accordingly, so you aren’t caught off-guard. Fretting about the new year? Call us and we’ll help you strategize your finances for 2019.